Seeing things in black and white usually involves being narrow-minded. But one of the most bold of design trends delivers the very opposite. Using black and white in web design provides the ultimate in readability and impact, ensuring all communication between the brand (or site owner) and the online audience is clear and memorable. As peddlers of photography and film, Rankin is all about appearance and letting the work speak for itself. As such the choice of black and white for their website design must have been a bit of a no-brainer. 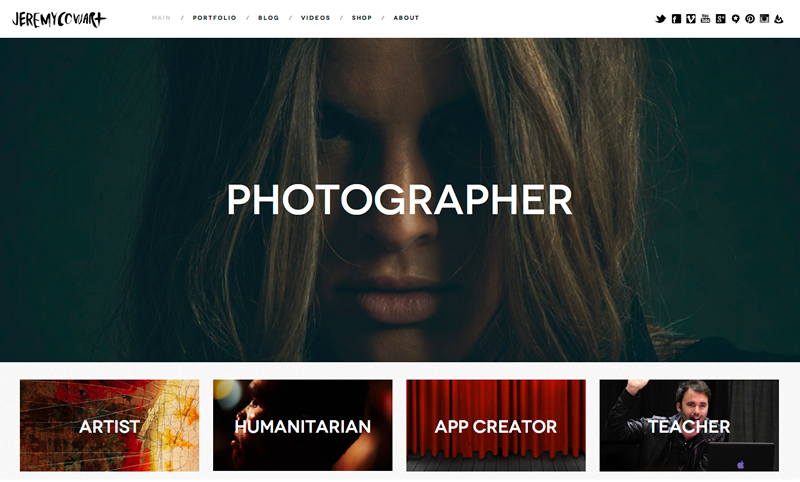 Sleek, chic and simple – this site exudes an understated dignity, which is moody enough to take on the tone of a photography darkroom. 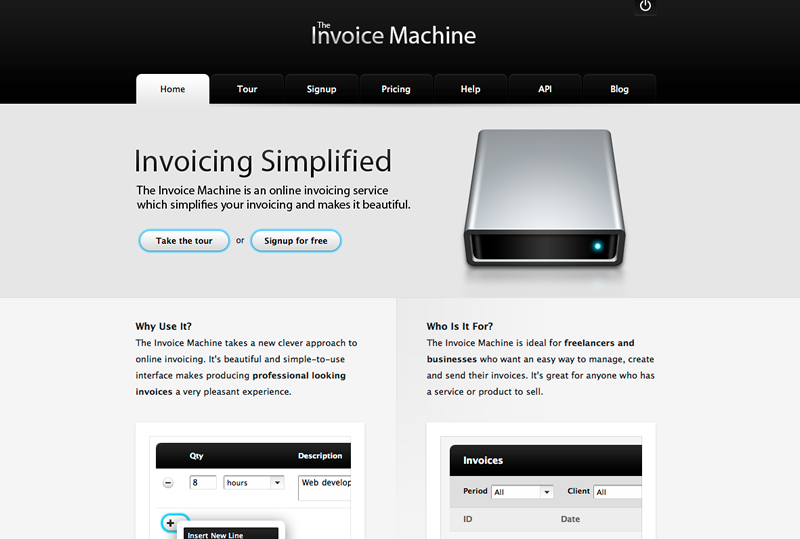 While a lot of the examples explored in this article cover sites that are creative rather than technical, The Invoice Machine website uses monochrome to ensure its service is taken seriously. The chrome effect when paired with the black makes the site look really professional. Then there are the yellow boxes, which go to show that being brave in adhering to a monochrome colour scheme usually pays off. The yellow boxes undoubtedly diminish the clarity and professionalism of the site’s overall appearance, though thankfully they fall predominantly below the fold. The obvious choice for impactful design is combining a sleek black background with vivid white text. But sometimes this can be inverted for a really clean finish. Artist Jeremy Cowart draws maximum attention to his work and communicates a simple, practical and modern approach to work through his site. Points of particular interest are what the designer has done with the well-worn social media icons we’re all familiar with. By draining the colour from the likes of the blue Twitter bird and red Pinterest ‘P’ the designer succeeds in keeping your attention where he wants it (though we wonder how the brand guardians of Facebook and the like would feel about this little tweak). 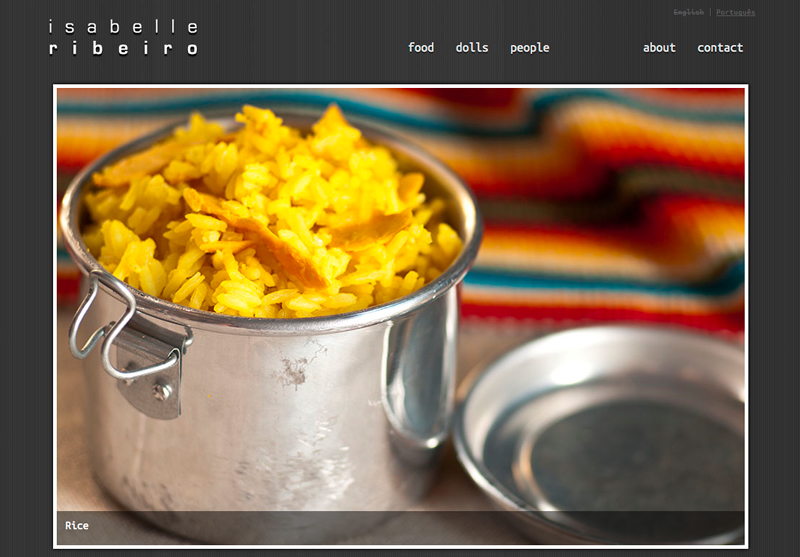 Shades of grey come into play on Isabelle Ribeiro’s site – and we’re not talking about the novel. This photographer’s work – whether capturing people or her love of all things food – is vivid and vivacious, and the choice of crisp charcoal grey for the background only serves to enhance this. A texture has also been applied to add visual interest and the monochrome is further employed to pick out subtle shadows on the text. The pure white of the background, together with the appealing complexity and energy of the homepage’s main illustration makes for a winning combination here. Based in Vancouver, The Sum is made up of a team of dedicated design and web professionals, so the quality of their site comes as no surprise. The site and indeed the apparent ethos of the collective seems to splice minimalism with character most convincingly, so monochrome was clearly the obvious choice for the colour scheme. The frenetic navigation on this site means that it would be pretty overwhelming doused in colour. As such the choice of making the entire thing black and white was an inspired one – and one which seems to echo (excuse the pun) this designer’s contemporary sense of style. The eye is particularly drawn to the black and white portrait of Ecko, which demonstrates that black and white design does not have to be devoid of humanity. 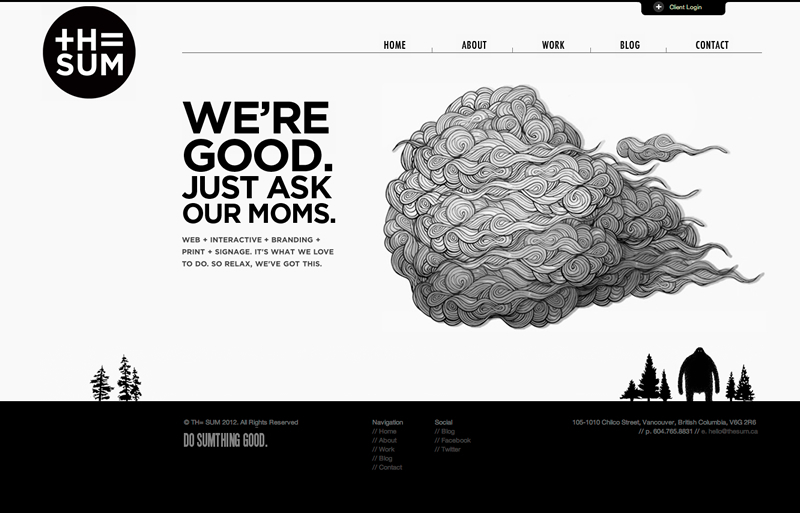 This is yet another example of how the use of black and white in design can yield painfully cool results. Here the graphics that feature on the site simply ooze energy and raw creativity and the way the content is compartmentalized sets it apart from most other site design. 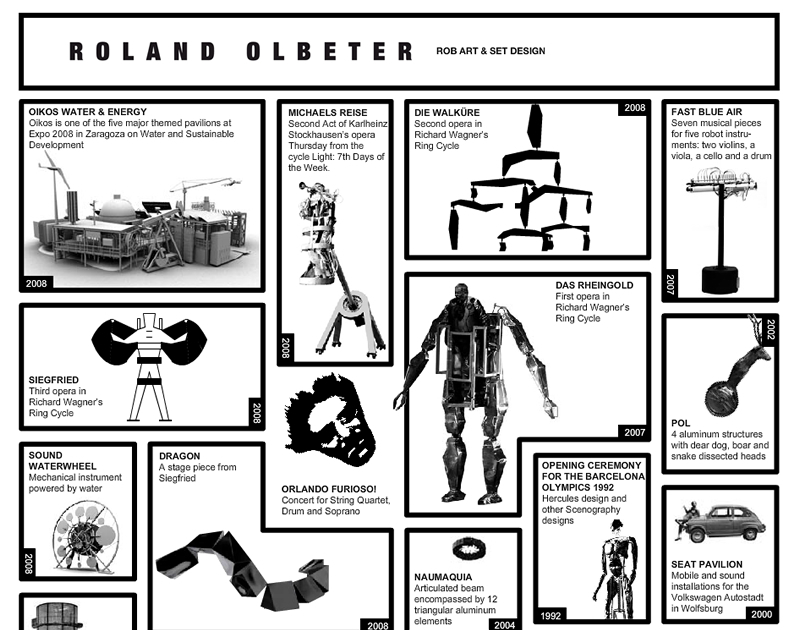 Olbeter.com showcases the talents of this set designer beautifully and by presenting them in black and white it suggests that each piece is infinitely richer and more impressive in real life. I hope you enjoyed this article. Please feel free to chime in via the comment section below! This is a guest post contributed by Neeru Pallen. She works in design and marketing. These all design are really awesome. It can still be quite good, but it’s definitely fallen out of favour since then. Depends on how you use it as always. Thank you very much for this sharing. guys if you are thinking about the where is internet explorer in windows 10 installing option, then you need to learn my suggest tutorial because there you are easy to install this amazing web browser on your device and enjoy to use it.